Make softer roties faster in a stylish way. 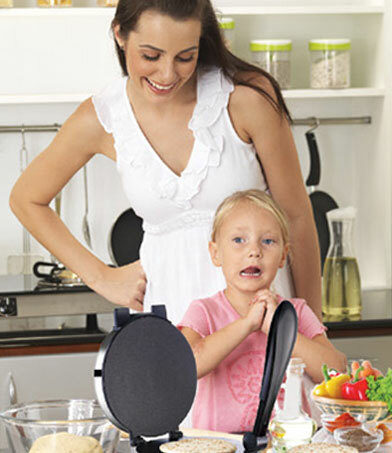 Premier's Roti Maker makes busy mornings easier than ever before. 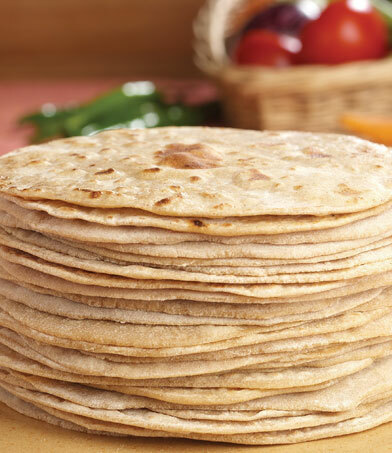 Its non-stick coating allows you to make fluffy, softer and perfectly circular chapattis with less effort and it prevents the dough from sticking to the hot plates. 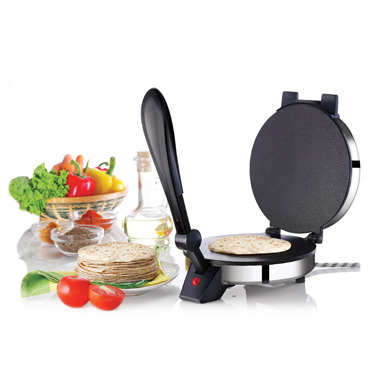 Comes with a heat resistant anti slip-grip handle that makes it easy to press the plates together and to lift up the top plate. It is ideal for Hot Roti, Rolls, Khakra, Dosa and Papad.